This took ages! 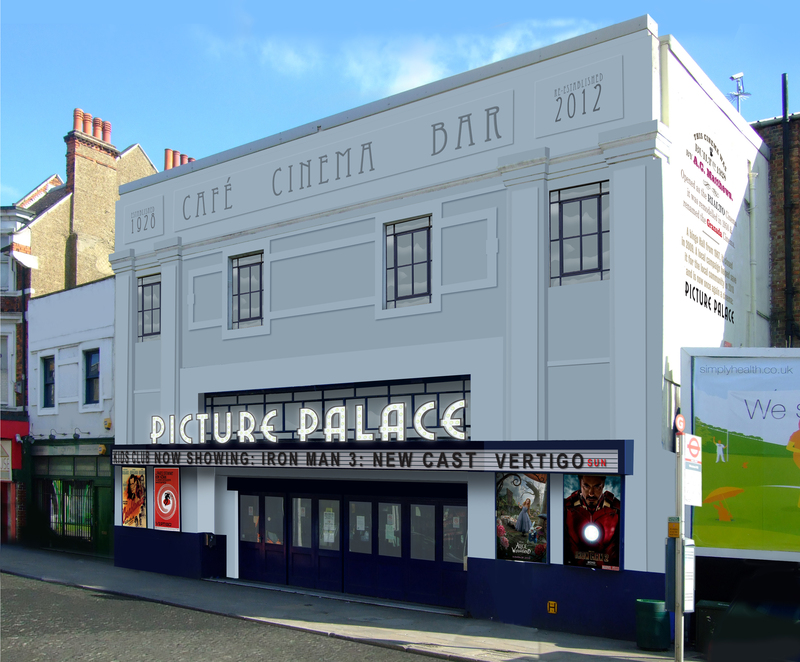 We wanted to restore the building and bring back a bit of art deco glamour. The sign above the canopy would of course be lit. All the other type would be painted. We had a little bit of fun with the top of the building. One side says ‘established 1928’, the other ‘re-established 2012’. 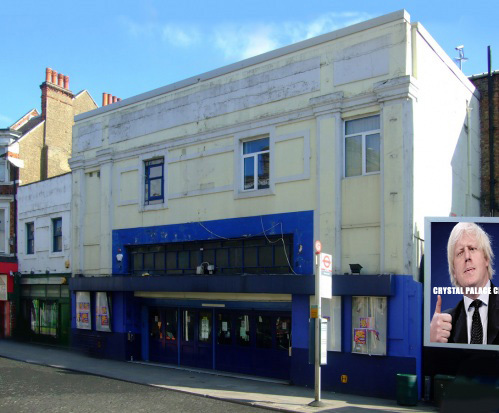 The cinema looks very run down and is central stage (pun intended) for the current campaign to save it from being turned into a church. The campaign website is worth looking at and has been backed by quite a few notable figures in the film industry. Absolutely brilliant! Love the Art Deco feel and the advertising on the wall and roof. Just what the Triangle needs, so we can all take pride in our past, present and future. What are the chances of it going ahead? I’d support it all the way. Looks like the feedback on the Virtual Norwood forum has been positive too (http://www.virtualnorwood.com/forum/topic/7500-cinema-in-the-area/page__st__1365). Lets hops all goes well for 2012! Oh wow – I love the art deco styling! It would be fantastic having such a charming functioning building in the area. Here’s hoping it gets funding. Me encanta,es excelente el cambio de la preesntación del edificio, lo cualhan logrado a base de elementos como son: pintura, ´rótulos,ideas frescas “dejar estampada la historia para todos”. Thanks David, I will. Hopefully this will happen. LOVE IT! Returning to a the roots of its original style makes it timeless and a beautiful building to look at. It looks as if the cinema is saved. We are proud to have played a small part in this and congratulations to all involved. The plans look fantastic!